Casa Blanca is an elegant, Spanish-colonial house with white walls and dark wooden balconies. It sits surrounded by a number of out buildings as well as a lush tropical garden. Two floors of the house are open to the public. The first floor has been returned to the look it had when it was a family residence. It contains furniture and artifacts from the 16th and 17th centuries. On the white walls are portraits darkened with time as well as crossbows and an early gun. The dark wood furniture recalls the exposed beams. It is an uncluttered look, reflecting the rigor of existence in those days even for the upper classes. Most of the upper floor is unfurnished. However, the empty rooms better enable you to appreciate how the builders used of natural light and ventilation to make the structure inhabitable in the days before electricity. 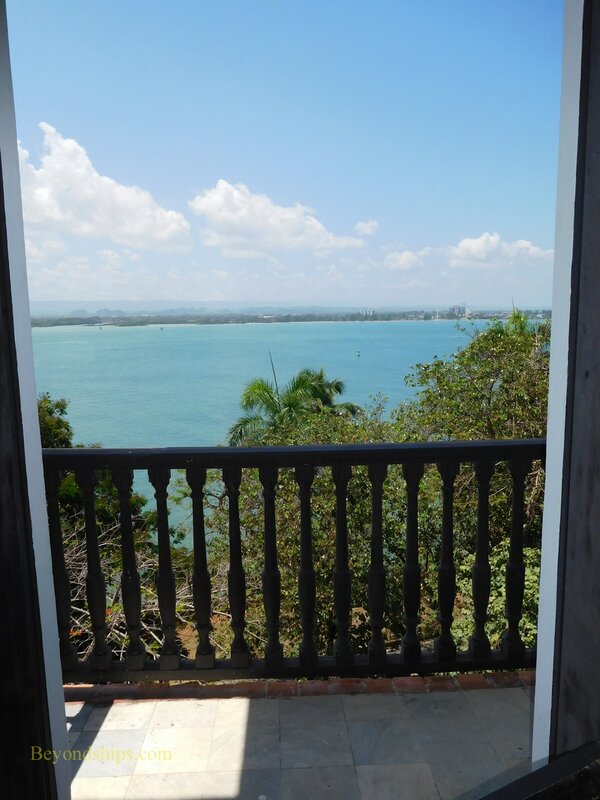 In addition, the views from the balconies of the gardens and the entrance to San Juan Bay are not to be missed. In one of the upper floor rooms, the museum has a series of panels that tell the history of the house and details about its architecture. Outside, the gardens are quite pretty. Tall palms and a Banyon tree provide shade. Although not in operation when we were there, a series of fountains provide focal points in a serene environment. The modern urban center, which is just outside the walls, seems far away. ​Casa Blanca is not all that easy to find. 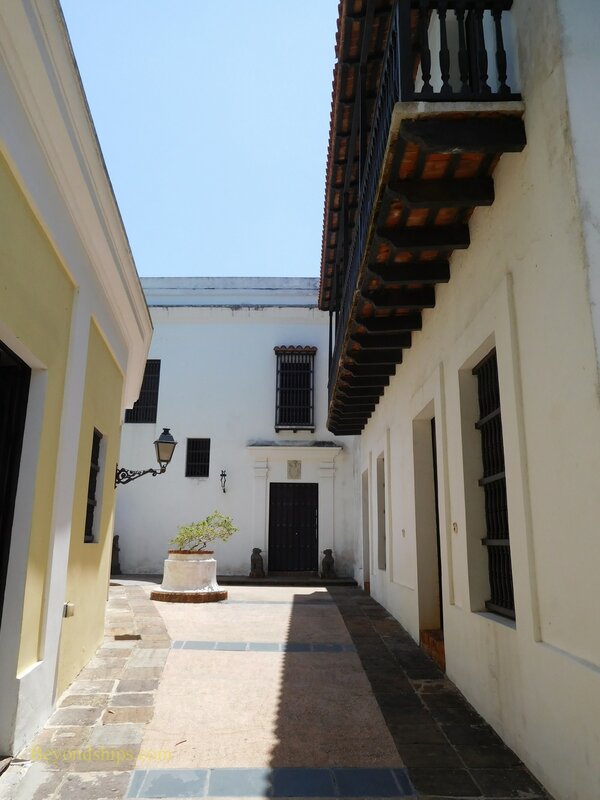 The property is in one of the areas of Old San Juan most often visited by tourists. 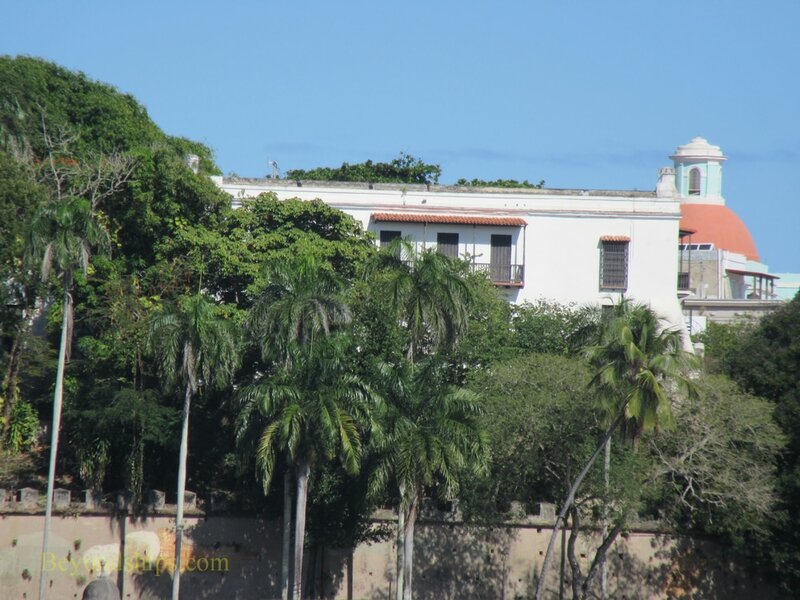 It not far from El Morro, next to the Institute of Culture and the Parque de la Beneficenia. However, the entrance is along a small driveway further to the south near the corner of Calle de Casa Blanca and Calle San Sebastian.